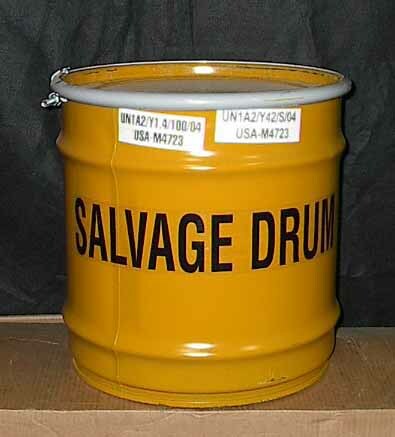 8 Gallon, Open Head Steel Salvage Drum – Our 8 Gallon Open Head Steel Salvage Drum is perfect for handling damaged containers and hazardous materials. Each of our drums are designed with our UN Rating of UN 1A2/Y1.4/100/Y42/S in mind. 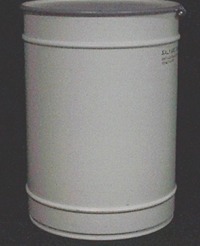 These 8 Gallon Barrels are especially useful for smaller-scale operations that need to pick up and go quickly and efficiently. Steel 8 Gallon Open Head, Salvage, 20 Ga., Plain Cover, Plain Body, Yellow, Unlined, UN 1A2/Y1.4/100/Y42/S, Wt. 12 Lbs. Interior Dimensions: 13 7/8″ I.D. X 14″ I.H. 13 7/8″ I.D. X 14″ I.H.